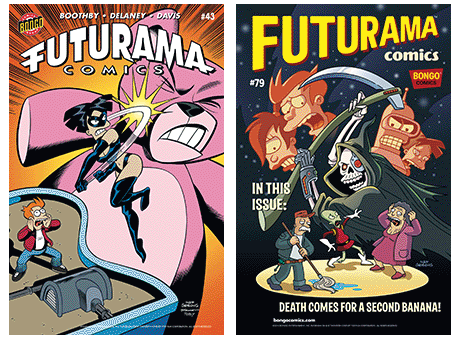 Featured Futurama Comics #43 and Futurama Comics #79 are now available for download on the Futuramaland app for all your iOS and Google Play enabled mobile devices! Professor Farnsworth invents a reality-reversing machine that makes everything the opposite of the way it was (or is?) 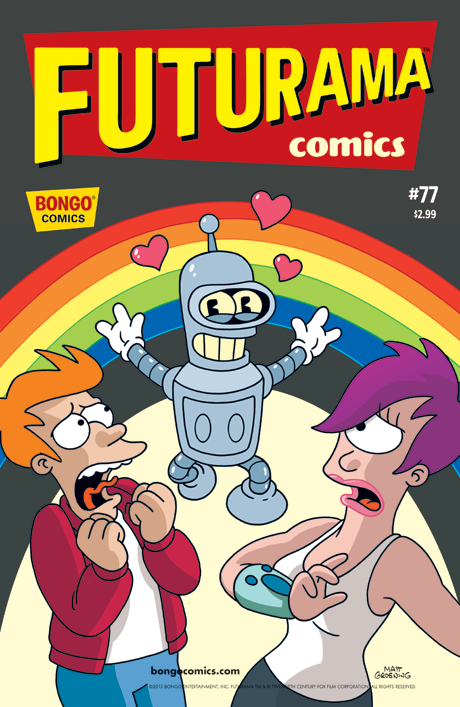 and somehow manages to send Fry a thousand years into the past rather than the future. And if that sounds confusing, it’s because it makes perfect sense. 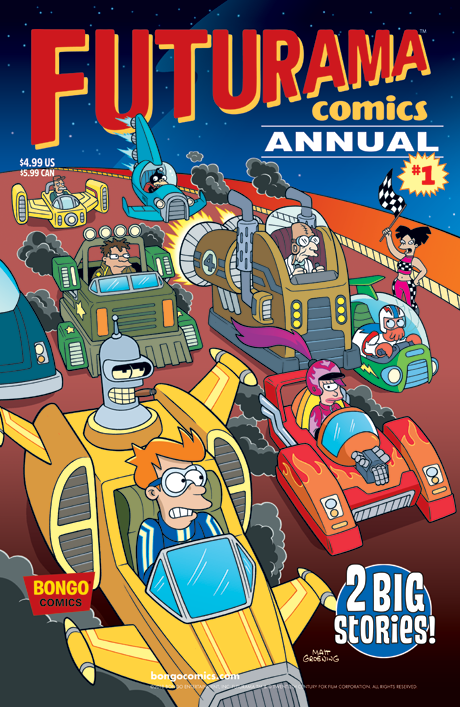 The Planet Express crew is surprised to learn that Kif has come down with a rare fatal disease and has only a week to live. 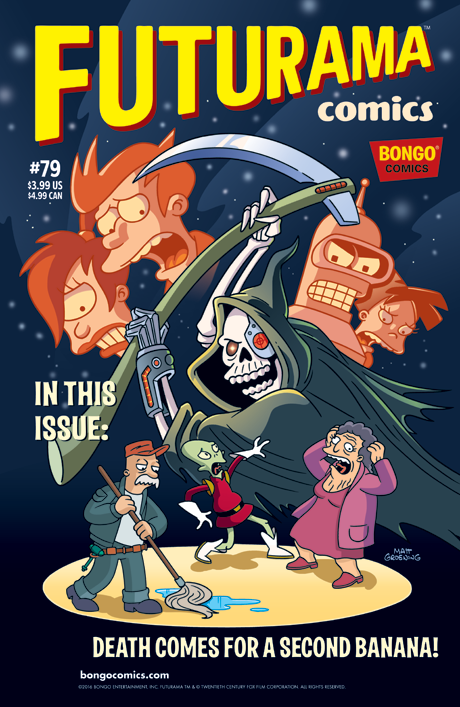 In keeping with Amphibiosan tradition, Leela and Amy attempt to throw a funeral that he can really enjoy before he passes on, but Kif has other ideas…plenty of other ideas. 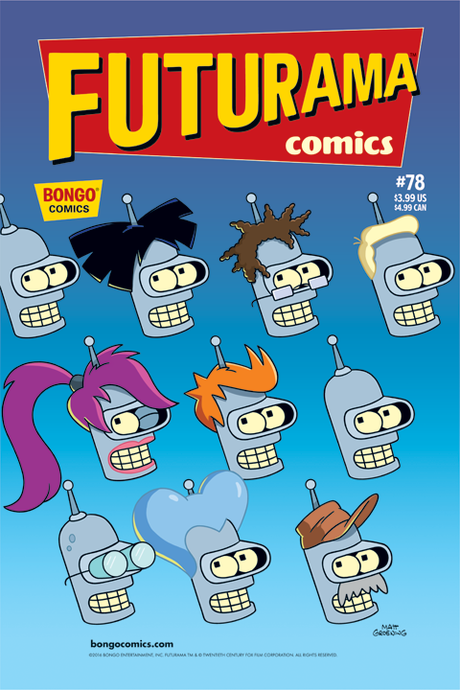 Meanwhile, Bender gets bent out of shape over Professor Farnsworth’s new vacuum cleaner, the Room Runner. When an intergalactic gazillionaire comes to visit Earth to find an heir, Bender poses as a Little Orphan Android to win over the futuristic sugar Daddy Warbucks. But this financially loaded tycoon has more on his mind than taking in a fiendishly lovable tyke…try hunting him for sport! 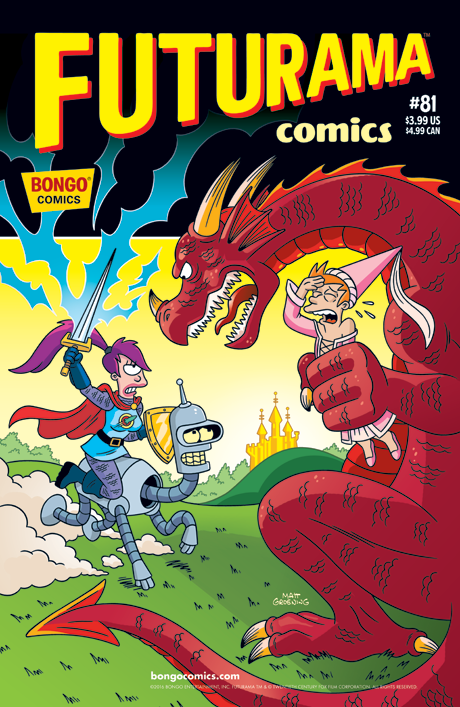 Fry complains that New New York City seems to be changing overnight, and after pulling an all-nighter by drinking a can hyper-caffeinated Slurm, he discovers an alien race called the Developers are actually changing the city for the better overnight…while the city sleeps! 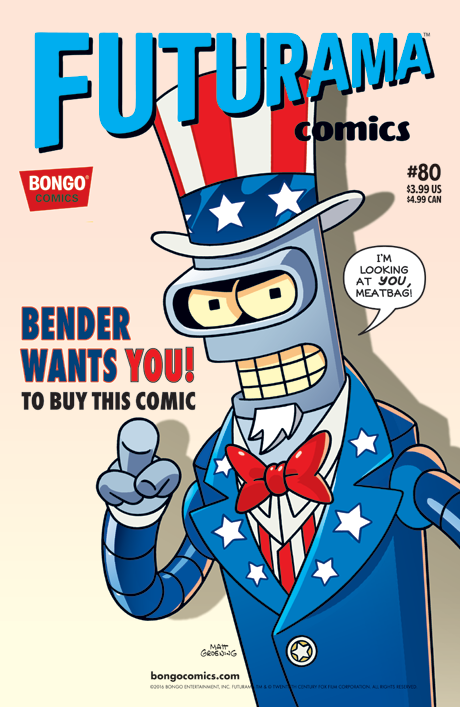 But is “better” really better…not for Bender! 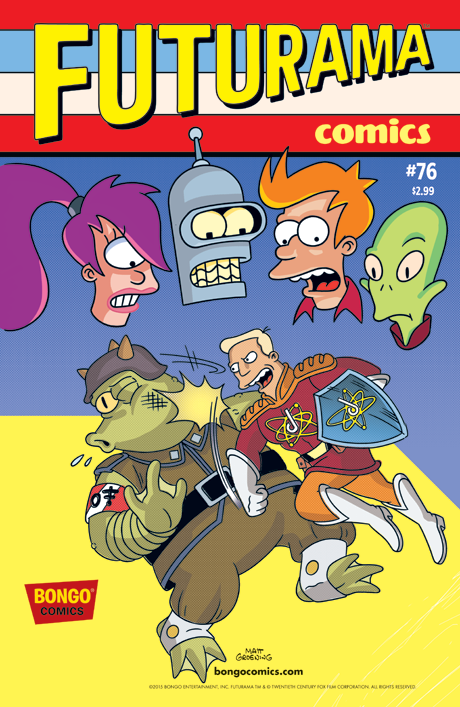 At last it can be told…the true story of the DOOP’s greatest hero…Zapp Brannigan! We’re talking about the “universal” super soldier who kept the galaxy safe time and time again with his faithful friend and first officer Kif Kroker at his side….and not the buffoonish windbag who continues to fail upwards much to that same ill-fated first officer’s frequent embarrassment.